Microsoft Corp. has picked up a new weapon in its Internet search duel with Google — full access to Twitter’s communications hotbed. The partnership announced Wednesday represents a coup for Microsoft as it tries to spice up its Internet search engine, Bing, in its long-running attempts to lure traffic from Google. 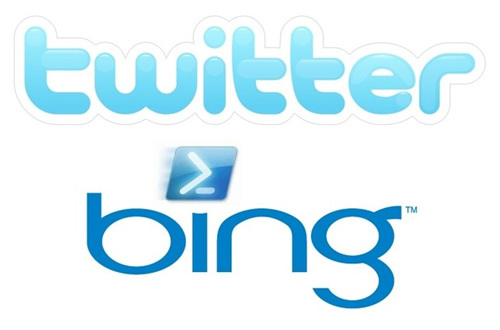 A test version of Bing’s Twitter feature debuted Wednesday. If the alliance pans out the way Microsoft envisions, Bing will become the best way outside of Twitter’s own Web site to find out what people are saying in their Twitter messages, or “tweets.” The messages, consisting of no more than 140 characters, can be posted from Internet-connected computers or mobile devices, enabling people to share mundane details about their lives or intriguing news and commentary from all over the world. It’s the kind of information that Google’s search engine, far more popular than Bing, can’t currently provide. “We think this is one of the first times that a search engine will be differentiated through access to content,” J.P. Morgan analyst Imran Khan wrote Wednesday in an analysis of the deal. Just how much Microsoft is paying Twitter for the rights to the tweets wasn’t disclosed. “There is a revenue component to this deal but we’ve yet to see how significant that will be,” Twitter Chief Executive Evan Williams wrote in a Wednesday e-mail to The Associated Press. Microsoft shares gained 21 cents Wednesday to close at $26.58 while Google shares fell 62 cents to $551.10. In a sign that it intends to offer other ways to probe into people’s mindset, Microsoft also said it is working on a deal for Bing to index at least a portion of the updates posted on Facebook — an online hangout with more than 300 million active users around the world. That’s about six times the size of Twitter’s global audience, but more Facebook users restrict who can see their updates than Twitter users do. Qu Li, the head of Microsoft’s online division, mentioned the Facebook negotiations before making the Twitter announcement, but said further details won’t be available for some time. Facebook already has a business relationship with Microsoft, which provides Facebook’s search results. Microsoft spent $240 million two years ago to acquire a 1.6 percent stake in Facebook. The Microsoft deal may be a financial breakthrough for Twitter Inc., which hadn’t generated significant revenue since its 2006 inception. Twitter is possibly under more pressure to start making money because a group of investors just poured $100 million into the company and will be looking for returns. The deal valued Twitter at about $1 billion. The rights to index the millions of tweets posted on Twitter are considered to be among the San Francisco-based startup’s most prized assets. In a blog posting, Twitter co-founder Biz Stone indicated the Microsoft partnership isn’t exclusive — a factor that might have limited the amount of money paid. “We hope more working relationships with organizations in the search business will mean even more variety for users,” Stone wrote. Khan predicted Google eventually will pay Twitter to gain better access to tweets, too. Google didn’t immediately respond to requests for comment. Williams has previously acknowledged discussing a variety of possible deals with Google. Williams sold one of his previous startups, Blogger, to Google in 2003 for an undisclosed amount.